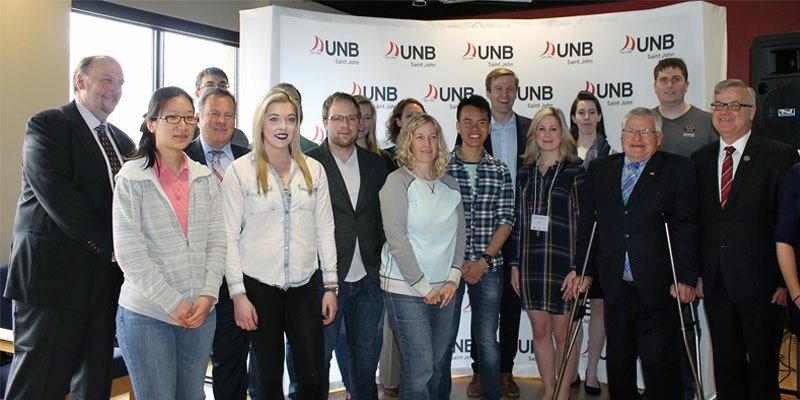 The provincial government, through the New Brunswick Innovation Foundation, has awarded 188 students with New Brunswick Graduate Scholarships. Premier Brian Gallant participated in a recognition event Friday as part of Innovation Week. The students received a total of $1.2 million from the foundation, an additional $686,000 from their host institutions and $1.7 million from national granting agencies. In addition, $945,000 has been leveraged to hire 113 student research assistants, and $520,000 is being invested in startup grants to attract seven new professors who have joined the faculty at the University of New Brunswick, Université de Moncton and the Collège Communautaire du Nouveau-Brunswick in Grand Falls. Gallant said the new professors and student research assistants are joining the learning environment to help inspire young minds and grow new innovators in the province. The New Brunswick Graduate Scholarships range from $4,000 to $7,000 per year for masters or doctoral studies at publicly funded New Brunswick post-secondary institutions. They are administered by the foundation on behalf of the provincial government. Their purpose is to recognize academic excellence and encourage students already studying in the province to undertake their graduate studies and launch their careers in New Brunswick. The scholarships also attract talented graduate students from other parts of Canada and the world. The fields of study are science, technology, engineering, math and social innovation.